SEO is as important as ever in the world of online marketing. There’s no denying the importance of SEO, or search engine optimisation, in the world of online marketing. It is the roadmap that helps people find your website, blog or online store. Without it no one would ever find what they were looking for amongst the millions of active websites in the world. But like everything else in the digital world, SEO is always evolving and it’s important to stay abreast of the current trends. 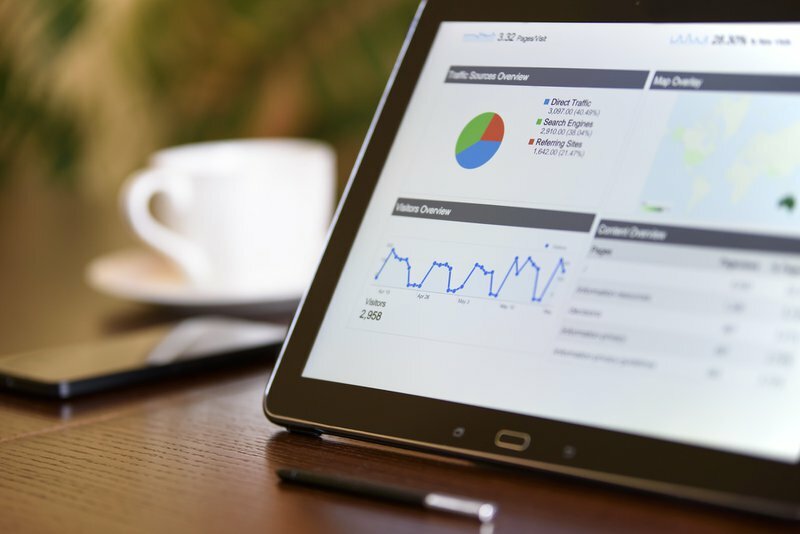 These 8 statistics highlight the significant impact good SEO can have on your business as well as the importance of SEO. If you haven’t already made SEO an integral part of your online marketing efforts, these figures may give you the push you need. This statistic doesn't just highlight the importance of SEO, but the importance of SEO strategies. People aren’t using simple search terms as much these days. Instead they are turning to what are called “long-tail keywords” to conduct their online searches. These longer keywords are much more specific and you need to take this into account when it comes to SEO. For example, let’s say I was searching for a blue mohair jumper in size 8, and used the term “mohair jumper”. I would be presented with over 18 million results. What do you think the chances would be of me actually finding something suitable that way? If on the other hand I were to use the long-tail keyword “ladies blue mohair jumper size 8”, the results would be much more refined and I’d be more likely to find exactly what I was looking for. Long-tail keywords are also better when it comes to paid campaigns. Long-tail keywords tend to have less competition, which makes their cost per click much lower. It all comes down to properly researching who your customers are, as well as how they search for what you provide. To find out more about this, why not read out blog on creating customer personas that increase conversion rates. As long as you know how to properly implement long-tail search terms, this increasing use of more focused keywords is good news for your business. It may mean that you’re attracting less traffic but you’ll be pulling in the audience who are actually looking to buy what you specifically sell. This will increase your conversion rates and the return on your investment will subsequently be higher. Read our informative article for more information and tips on keyword research. In addition to using long-tail keywords, you should also ensure that your content is of a decent length. Google loves long-form content. This is another factor showing the importance of SEO strategies which are varied in approach. The fact that search terms are getting longer suggests that your visitors are searching for something specific. So you should provide them with all of the information they’re seeking on the topic in question. People appreciate having everything in one place rather than having to fetch tidbits of information from various different websites. Be aware that it’s not just about word count though. Ultimately, you should be focussing on providing value to your audience and therefore increasing dwell time on your site. This will suggest to Google that your site is relevant, engaging and informative. Competitors and other companies in your field will also consider you to be more valuable and will want to link back to your site which will boost your Google rankings further. According to a study by Microsoft, the average online attention span is eight seconds. 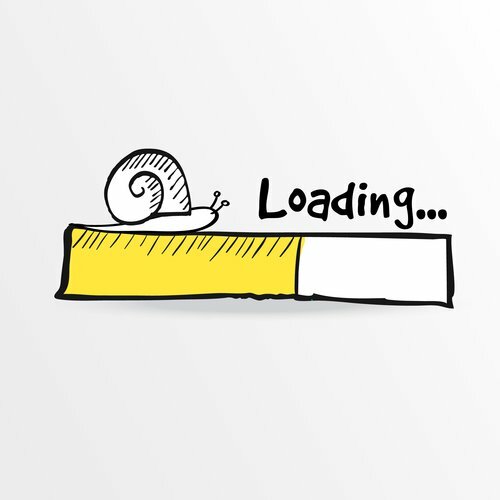 You could therefore be losing large numbers of potential customers if your website loading speed is not up to scratch. According to Matt, there is also a correlation between slow performing websites and user trust. Visitors often see slow websites as untrustworthy which is a big no no in the world of business. And to make it even worse, given that most shoppers tend to pass on their online experiences to friends and family, you could also be missing out on further customers who haven’t even visited your site yet. So how do you ensure that your website is running quickly and smoothly? The first step would be to check your website’s loading time using Google's PageSpeed tool. If your site does score badly you can them implement Google’s suggestions to improve it. You could also read this handy article on speeding up your website in order to increase conversions. It is estimated that around 94% of adults in the UK own a smartphone. Our phones have quickly become the main way to communicate. More and more people are using their mobile phones to use search engines than ever before. It’s no surprise that Google has updated its SEO algorithm to include mobile website use. If your website isn’t optimised for mobile therefore, it can have a detrimental effect on your search engine rankings. Also, a website that isn’t optimised for mobile will generally just create a poor user experience. Not only do they look bad, they are hard to navigate and look unprofessional. So how do you go about optimising for mobile? There are many things you can do including using a responsive web theme and resizing your images. Google has several articles and tools to help test and improve your site’s performance including their Mobile Friendly Tool and Speed Test Tool. Both tools provide suggestions on how to make improvements if necessary. Smartphones aren’t going anywhere and if you want to compete in an ever growing mobile world your website needs to be mobile friendly. Local searches are growing. According to Google, “near me” searches have grown by 900% over the last two years. Not only are your audience searching for something more specific, they are searching for it in a specific location. This suggests that they are prepared to take immediate action on their search results. 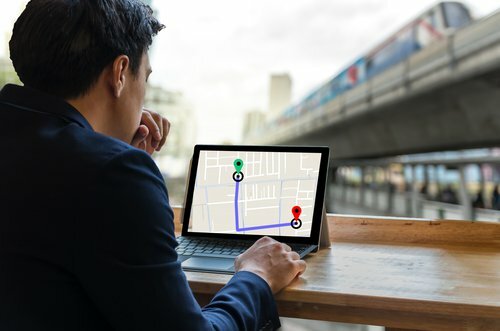 Therefore, if your business is a bricks-and-mortar establishment or if proximity to your customers is important, you should be taking local searches into account when it comes to SEO. Ensure that your site’s meta-data is optimised for local search by including your local town, city or county in page titles, meta descriptions and image alt tags. 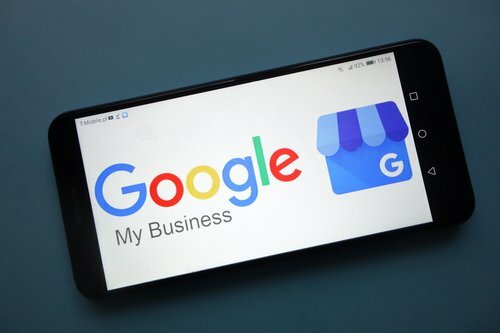 Another easy step is to make sure that you claim your Google My Business page. It’s essentially a directory, but as it’s Google it’s a big deal. It’s free and a great way to increase your local exposure. If your site is optimised enough to show up in Google’s “3-pack” (the top three local results of a search), that's even better. You can also ask customers to give you reviews which will further bolster your ranking, or add your business to other local directories. Now that is a lot of search queries and if anything is going to highlight the need to get your SEO right, it’s probably this! There’s no escaping the fact that Google is king when it comes to online search. It is responsible for 94% of total organic traffic and is now such a major player in online searching that it’s name has become a verb! How many times have you heard someone say “Let me just Google that”? Your audience are definitely on Google searching for what you have to offer. According to SEO Tribunal, 80% of viewers ignore paid ads. It is imperative therefore that you optimise your SEO for organic traffic and don’t just rely on sponsored content. Your audience don’t want to be heavily marketed to but instead want to feel in control of their buying journey. This truly highlights the importance of SEO and SEO-based marketing strategies. Google Search Console is a useful tool for understanding how your audience are currently finding your site through Google searches. This allows you to analyse the results and make appropriate changes to your content. There are many other useful tools such as Google Analytics and Google Trends. Always keep in mind though that people and therefore online searching and buying habits change, and so too will the Google algorithm. It’s essential therefore, to stay up to date in order to be as agile as possible. Video has seen a massive surge in popularity over recent years across all online platforms. According to Neil Patel, 500 million people on Facebook watch videos every day, and 10 billion watch them on Snapchat. With such vast numbers of people viewing videos online, brands can no longer ignore the growing popularity of this medium. So what is it that makes video so popular? Video content is the easiest type of content for your audience to consume and as already mentioned, online user’s attention spans are pretty short. According to Animoto, four times as many customers would rather watch a video about a product than read about it. 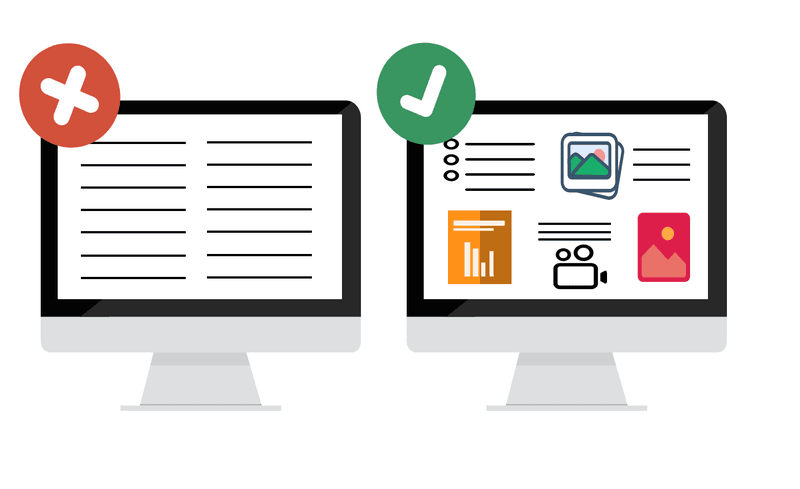 Therefore, creating something that allows them to consume information with very little effort required is going to be highly beneficial to your business. Video can also create a more immediate and authentic connection with viewers than text can. In addition to this, using videos that feature yourself or company employees can help to build trust with your audience. Another advantage of video is that it can increase the dwell time for your website’s pages which can subsequently boost your Google ranking. There are many different types of video you can make including demo videos, expert interviews and live-stream videos. Hubspot have a great article on how to get started with video marketing. There are also many different video editing platforms available such as Wideo and Filmorago to help you. Websites such as Promo Video also provide endless amounts of video, music and image templates meaning that putting quick promotional videos together has become very easy and affordable. With these facts and figures in mind, it’s definitely time to start incorporating video into your SEO and marketing strategies. Your competitors are likely to fit into this 61%. Everybody wants to be at the top of Google! Research is increasingly proving the value and importance of SEO for business and conversion. According to Search Engine People, SEO leads in have a 14.6% close rate compared to only 1.7% for outbound leads such as print advertisements. It’s no wonder that companies are beginning to focus more of their marketing energy (and money) on SEO rather than using other more traditional tactics. And as time goes on, companies are inevitably going to get better at their SEO. That means you need to stay on top of your SEO game as well. Now that you understand the importance of SEO, how can we help? SEO can be a daunting subject for any business owner. Keeping your website content optimised is an often difficult, slow and ongoing process. The importance of SEO as well as a varied SEO strategy is often difficult to achieve through in-house capabilities. Cambray have over ten years of experience in digital marketing and SEO. If you’re feeling overwhelmed by it all then why not get in touch with us for a free, no obligation chat? By discussing your business and reviewing your website, we can provide useful information on how to develop your SEO in the right way to obtain the best results. Alternatively, fill out the contact form below to receive a call from one of our experts.